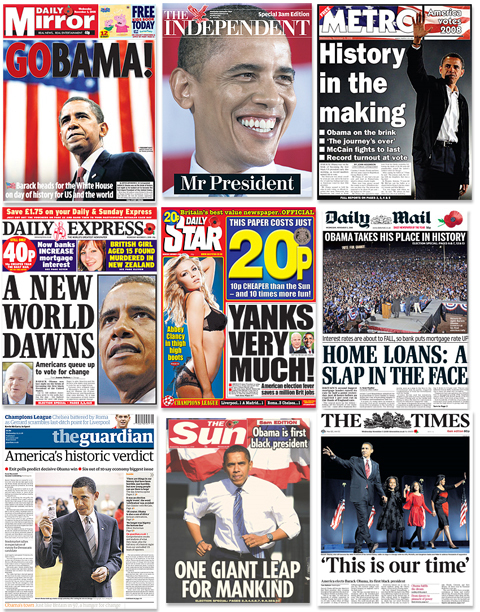 When President Obama visited the UK he was quite a hit, as evidenced by the wall-to-wall news coverage, but they, as well as we, have had a better chance to digest his policies, and it seems to be common knowledge that Obama’s once brilliant aura is beginning to dim. Are the people rejecting their saviour? Barack Obama’s approval rating has slipped to below that of George “Dubya” Bush at the same stage in his presidency and this is causing some concern among right-thinking (by which, of course, I mean left-thinking) people. How is it with the economic rescue package? Terrific — if you are a Wall Street banker. But if you happen to belong to that uncovenanted majority of the population, the lumpen salariat, you may be coming to the conclusion that crossing FDR’s depression-prolonging New Deal with LBJ’s Great Society is not the answer to your problems. It is no longer Republicans who are the problem about getting this package through Congress: it is Democrats. Even the American left balks at a socialist scheme for health care that would have had Nye Bevan shouting “Hold on a moment!” Your brainchild, Barack — enjoy. They tell me Barack Obama was a lawyer. They also told us he was a democrat. Yet the Honduran crisis is a direct confrontation between Jeffersonian and Bolivarian principles, in which the President of the United States has chosen the Bolivarian — more bluntly, the Marxist — option. Three and a half more years to go — this could get very interesting. I found this criticism from the other side of the pond particularly interesting in light of several articles in the last few days, like this one that proclaims U.S. image abroad surges under Obama. These articles point out that we are still a long way from being “popular” in the Muslim world, but most of the rest of the world likes the U.S. better under Obama than they did under George W. Bush. Well, of course they do! Obama has been around the world telling everyone about, and apologizing for, all the “mistakes” we have made in the past and how we are now the friendlier, gentler nation. That must make those who think that democracy is obscene much happier. That must make those who have ambitions to destroy our democratic system much more relaxed.